This shows the serious injuries that I received during armed combat. 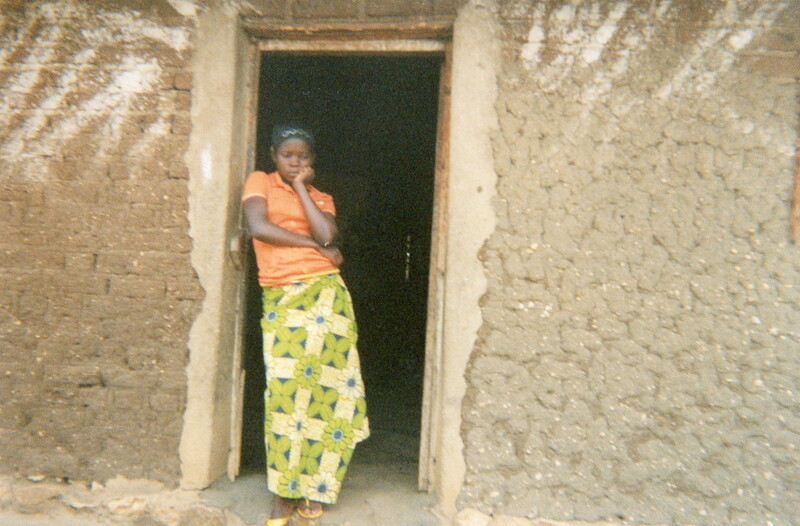 After my liberation from the group, I felt insecure in my village and therefore sought refuge at Muvinga in Burundi. I want to show the world where I was hit in the left leg by a bullet. Wearing this prosthesis helps me to get around, but not quickly. 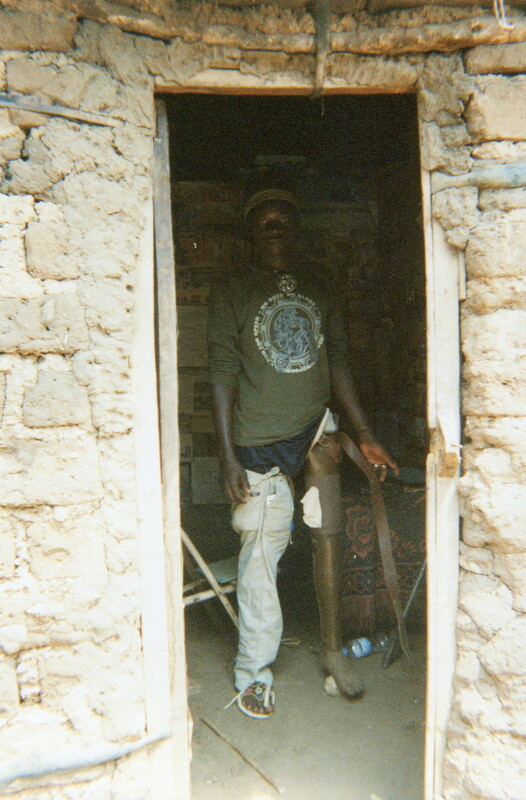 I want to show the world how I lost my entire leg because of the war. This is to remind me of the doctors who treated me, and the treatment I received. To remind me of the place where I was injured during the period of sad memories…in other words, the armed conflict. This is to remember how I came to leave the army with a disability – I didn’t know whether I would still find friends alive in my community. However, this one was the first to welcome me, it was a time of reunion. This girl was sad to see me with a disability – she is thinking about how she can accept to be married to a man with only one leg. This is to show the house where I live with my parents and two young brothers and the difference between our house and that of our neighbours. After my reintegration, I began to raise guinea pigs. This man and his kids helped me to with the transport and sale of my products at the market. This photo shows the people who mentored me in my work raising guinea pigs. I was unable to do any other work because of my disability. I actually like this work. This is the only market we have in our community and if I start an income generating activity, I will begin using this market. This photo has the same meaning as photo number 8. This photo shows the day of my liberation from the armed group and my transfer to the hospital to receive appropriate treatment. This photo shows my disability, which is a limitation for me because I cannot ride a bike as my friends do. This photo shows my physical disability in comparison to other people’s. 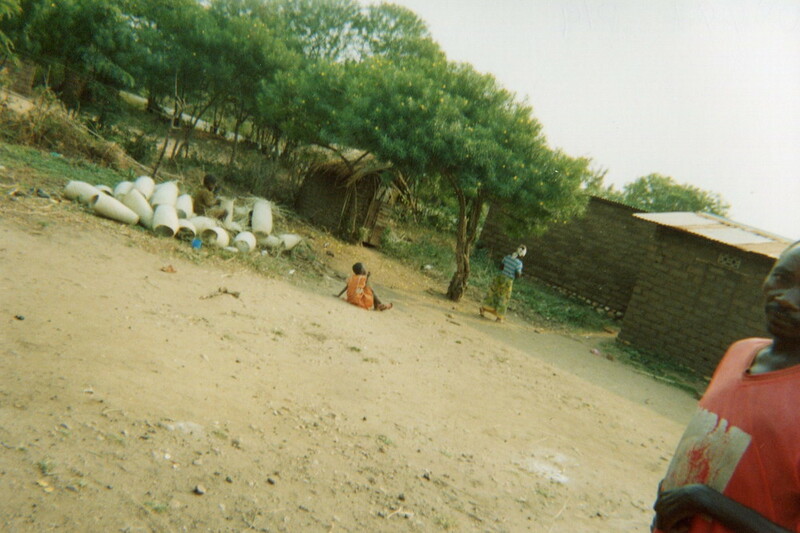 This photo shows the house where we passed through enrollment as children in the armed groups. It was the house of the commander. I took this photo to show the road which goes in the direction of the hospital where I was treated. 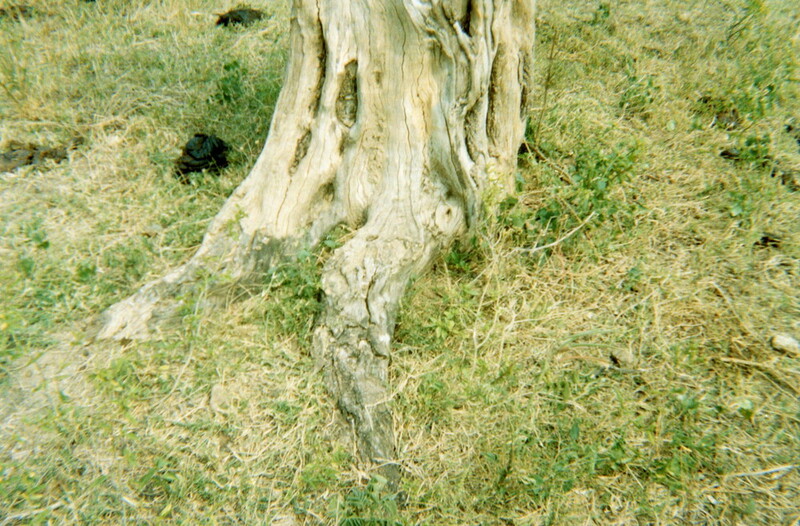 This photo shows the condition of this tree which is comparable to the lives of children who were associated with armed groups who are left without support, abandoned by their communities like this tree which is in the process of disappearing. 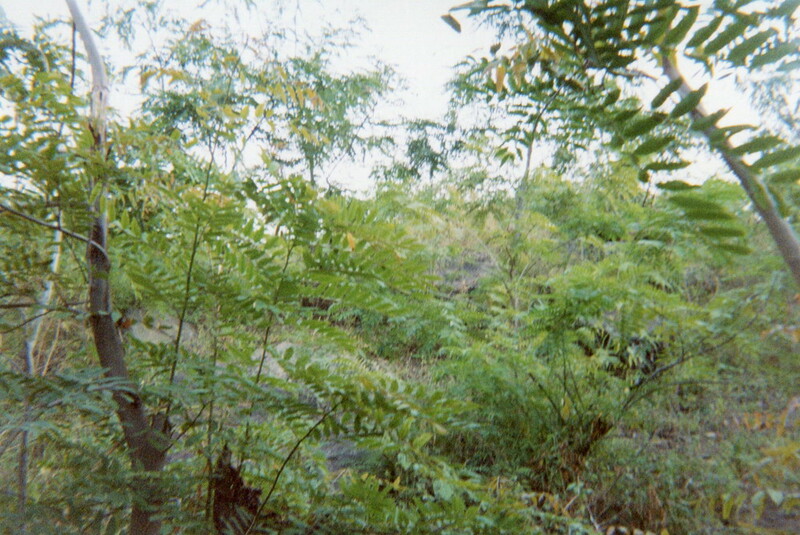 This photo shows the place under the tree where I killed a person for the first time when I was a child soldier. This photo shows how children who have left armed groups become isolated from their communities and how after their liberation they are often left without support. 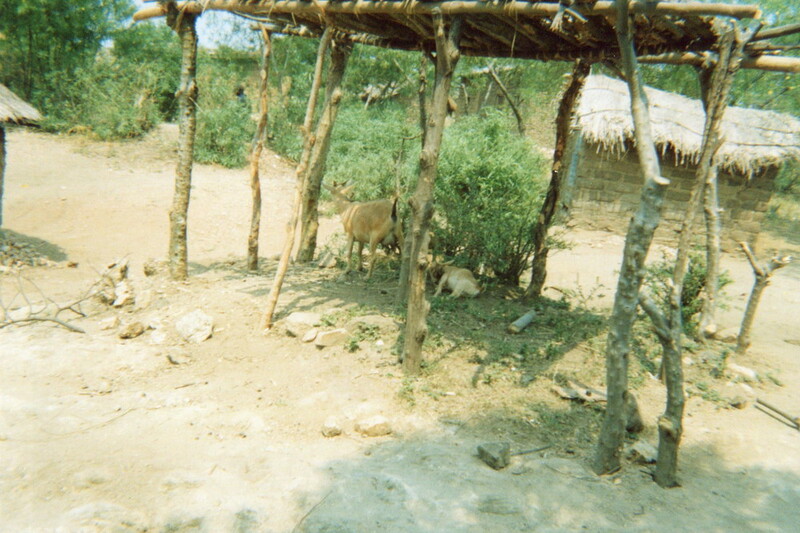 I took this photo to remind me of the goat herding kit that I received when I began my reintegration. These photos show the scars I received on my arms and legs because of a grenade thrown on us during a battle when I was in an armed group. This photo shows the work I do in my community since having left the Mai Mai. 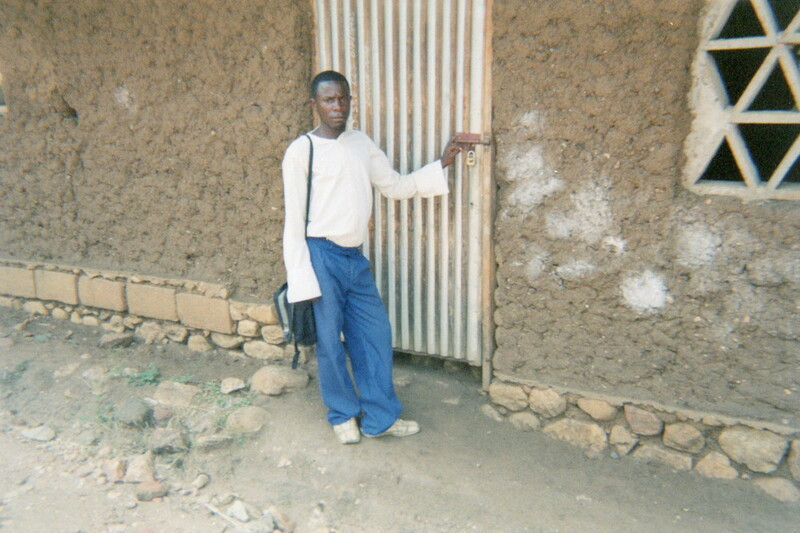 This photo shows that after I was freed from the armed group, I went directly back to school. This photo shows that due to lack of money, I was sent away from school. We recommend to both local and international NGOs that the lack of financial resources is the biggest barrier to long-term education reintegration. This photo shows the school which has played a big role in my educational reintegration. This photo shows the training area where we were trained in the armed groups. These are the cows that I look after in the fields and the cows I milk in order to earn some money to see to other vital needs. This photo shows the church where I was baptised and where I discovered God as my Saviour after leaving the armed groups. Here are the people who facilitated my exit from the armed group and who welcomed me into their group of friends. This photo shows a great initiative by an ex-combatant who has been reintegrated into their community and who is building their own house. 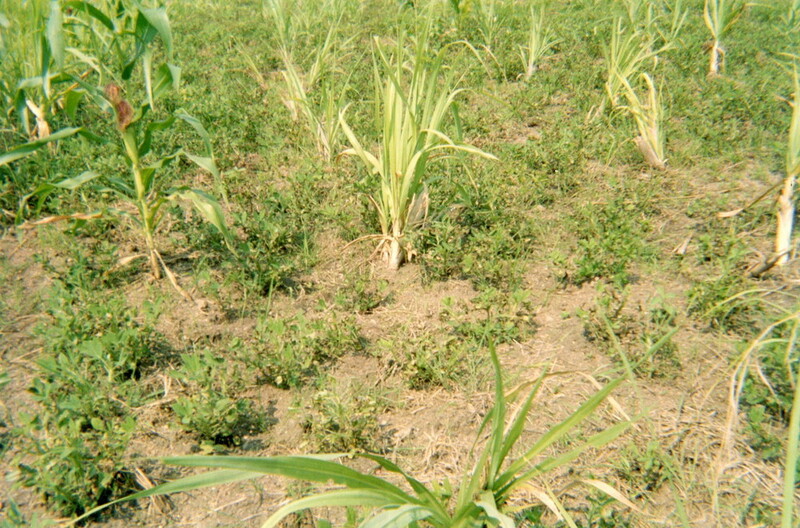 This picture shows my field of corn and peanuts. It can be considered my income generating activity. 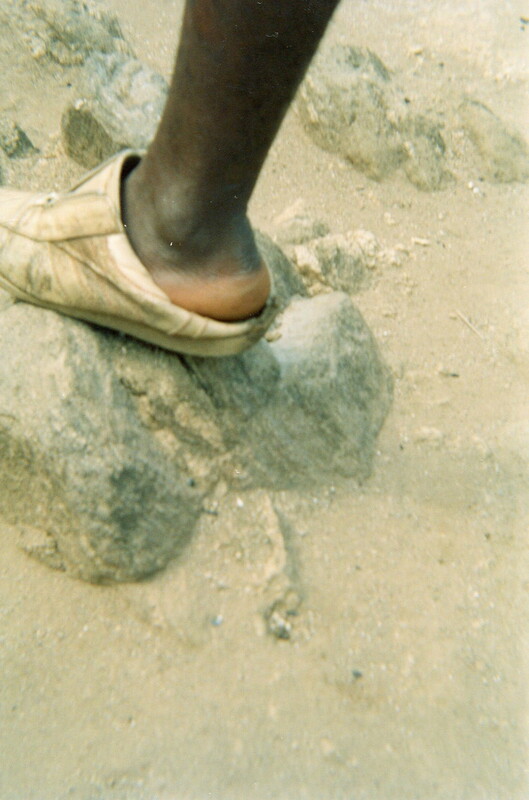 This photo shows how ex-child soldiers are isolated in their communities. I took this photo to show the state of the house where I trained four ex-combatants in tailoring on one single machine. I took this photo to show how the doors of one school were forced closed as a result of the war between the Mai Mai and the FARDC. This photo shows the inadequacies of the reintegration and reinsertion kit for tailoring — these three young people are in a dispute regarding a sewing machine included in a reinsertion kit. A girl ex-child soldier who is sewing a shirt. This photo shows some of the girl ex-combatants who are not included in the DDR programmes — they are idle in the community. This photo is of one of the community members who was totally implicated in accompanying us through our professional training. 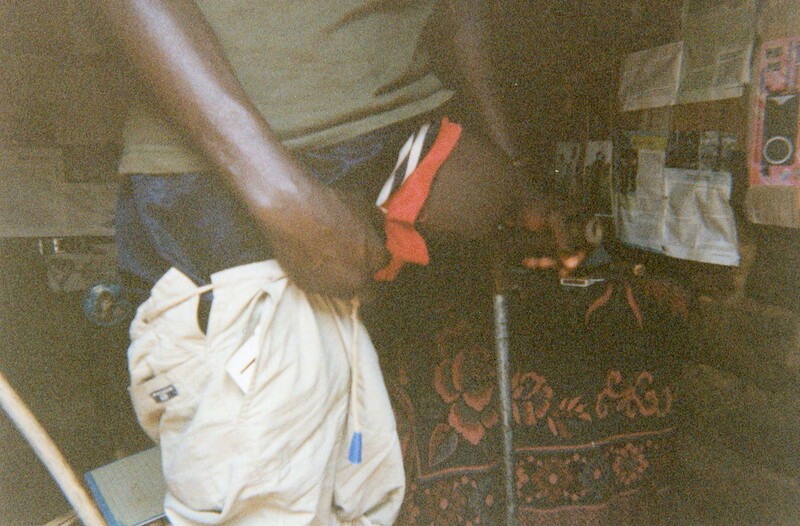 This photo shows that as a consequence of poverty in the host communities, ex-child soldiers sell their reinsertion kits after their professional training. I took this photo to show that this man had been a great asset to the community. He did lobbying and advocacy towards the armed commanders for the liberation of several children. He is an old and respected wise man in the village. This photo shows ex-combatants received their economic reinsertion. They sold them some time later to recover their capital and go back to their original activity of digging fields. 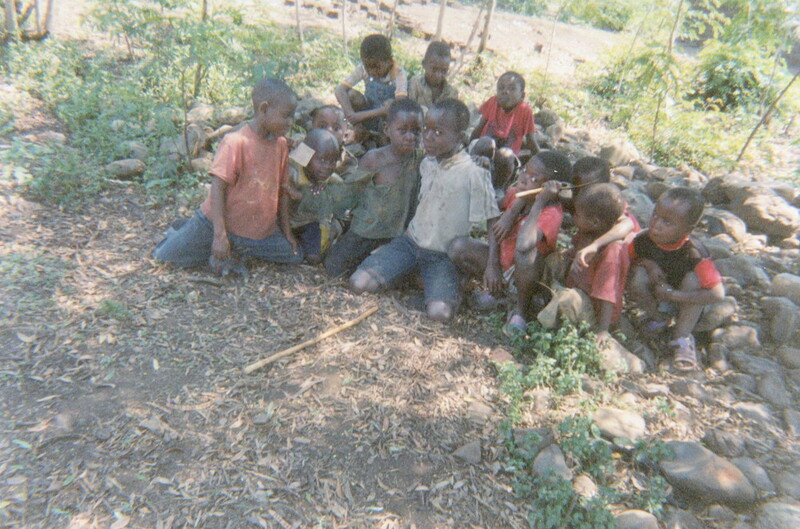 A group of vulnerable young people in the community. They have no support network since their parents were victims of the war. Ex-combatants coming together as an association of youth who sold their goods in order to start a communally managed and owned shop. The monitoring of the shop is ensured by the community structures of the town. 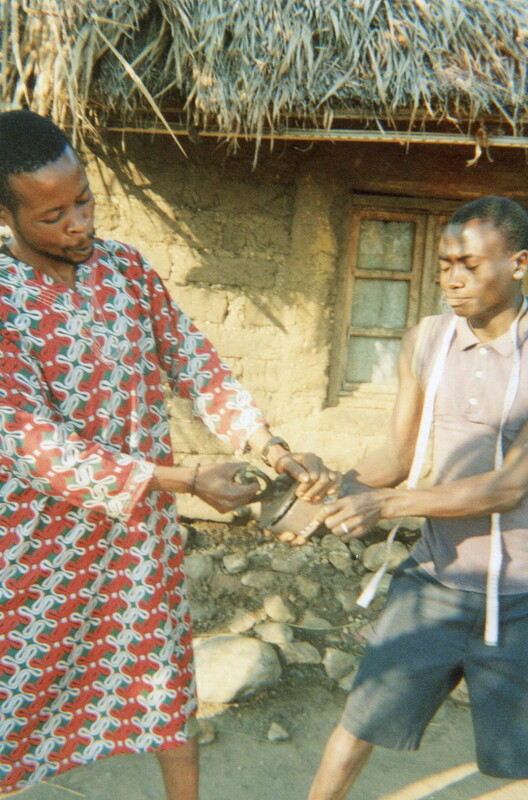 This photo shows how NGOs use an inadequate kit to 'reintegrate and reinsert' young ex-combatants (one goat instead of three). This photo shows how many ex-combatants abandon the professional training they receive and prefer to cultivate their fields if they can. This is the activity many adopted. 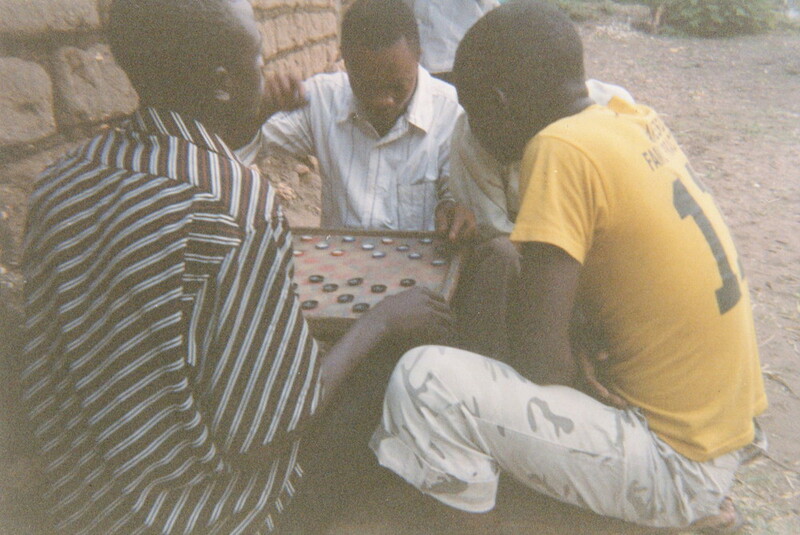 This photo shows ex-combatants who are not included in the DDR programmes and other members of the community playing a game of cards and sixes because they have nothing else to do. Here, the little money that I had when I began to train ex-combatants allowed me to start another income generating activity in the village (a restaurant). This photo shows the place where children are recruited into armed groups and to the side there is a road going towards the military camp. 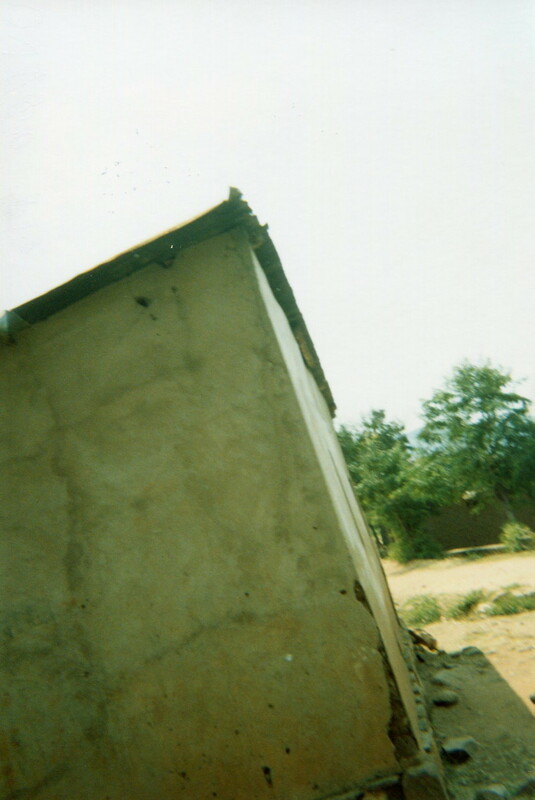 This photo shows the kiosk where I buy training materials for ex-combatants and other community members. 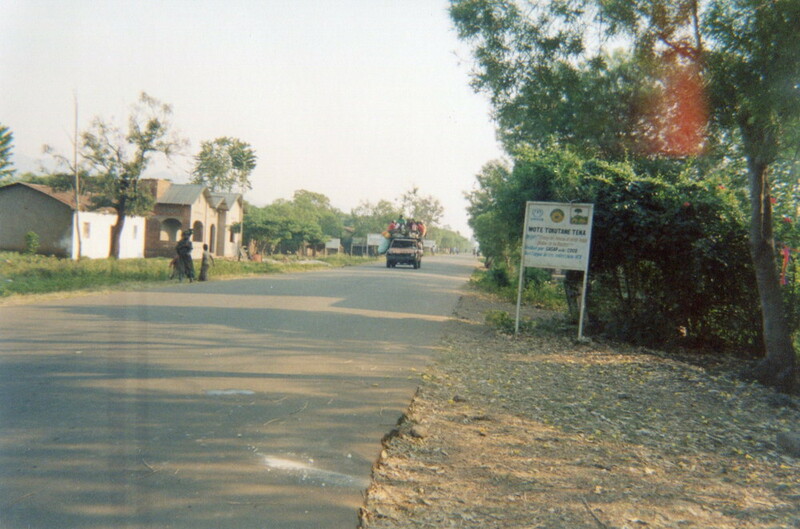 This road goes towards the village of an ex-combatant who has recently been reintegrated. Ex-child soldiers who were not reintegrated because they sold their reinsertion kits and these kits weren't enough for two people. Two ex-combatants were fighting over a machine that was provided in the reinsertion kit. The kits were badly managed. 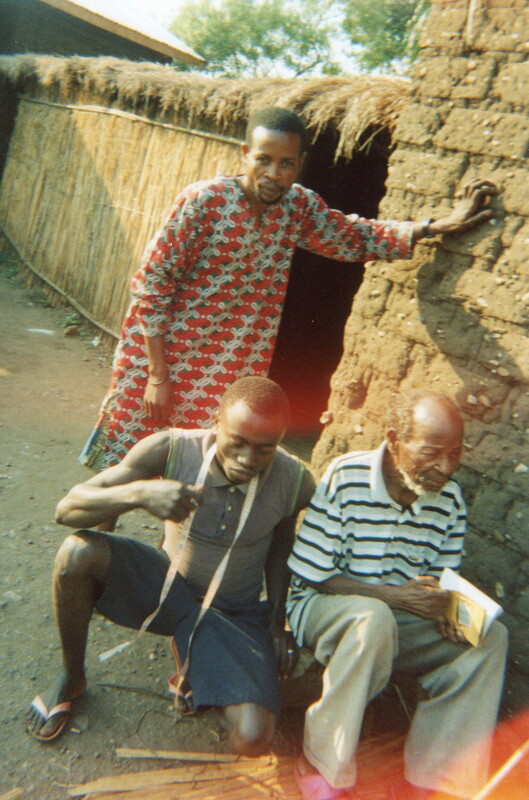 This photo shows an ex-combatant who, as a result of pressure from the community and the NGO trainers, has stopped doing tailoring and has begun driving a taxi push-bike. The young people are quarreling over tools. After their professional training, the young people agree to work together once again according to the advice of their mentor. This photo shows how many times I advised my daughter who used to be part of an armed group. Until now, she stays at home with her child and remains under the protection of the community. I took this photo to remind me of the economic reinsertion kit that my child received for small animal husbandry (goat rearing). This photo shows the school where my daughter studied before she re-joined the armed group. After my daughter left the armed group, she did not go back to school because she was older and also we didn't have enough money to pay the school fees and other necessities for her re-entry into education. This picture tells of when my daughter got her monthly period for the first time and her uniform became stained. The members of the armed group tied her to a tree and beat her very badly. This photo shows the place where my daughter hid after being tortured, and it is there that she was recruited. This photo shows a friend who is also an ex-combatant who was in the Mai Mai with my daughter. She has come to pay a visit to my daughter, her friend. This shows that the boy child soldiers helped the girl child soldiers if they were in difficulties when they were together in the armed groups. 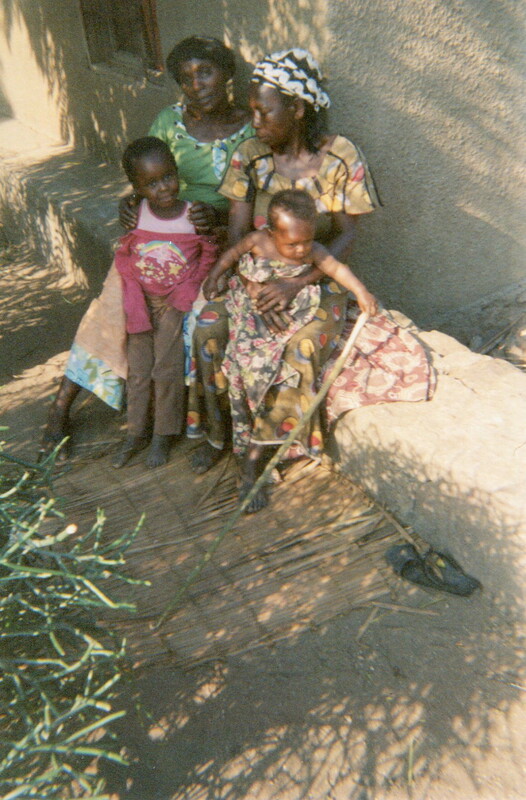 This photo shows how when the girls left the armed groups, we gave them advice at home under a tree with other Mamas from the village. We gave them advice on their behaviour whatever difficulties they faced in their daily lives. 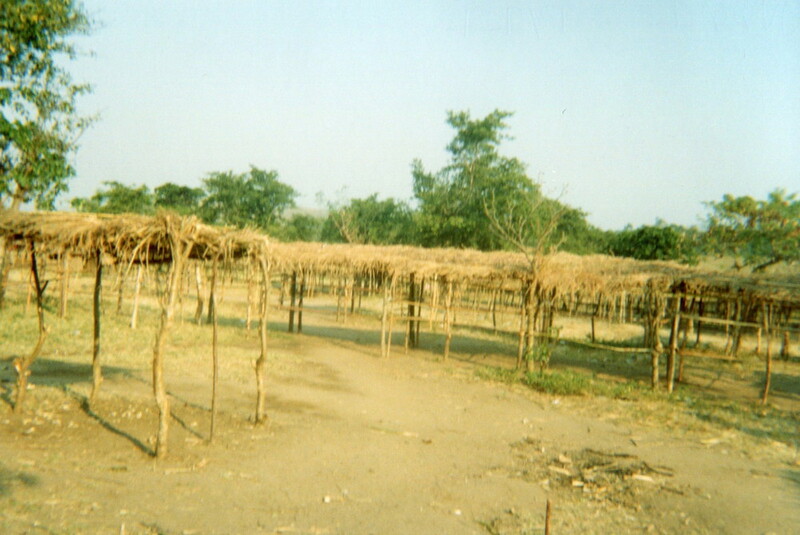 This picture shows the community field that was given to the ex-combatants as part of their economic reinsertion kit when they left the armed group. This field was meant to help them occupy themselves with hard work and forget about their lives with the militia. 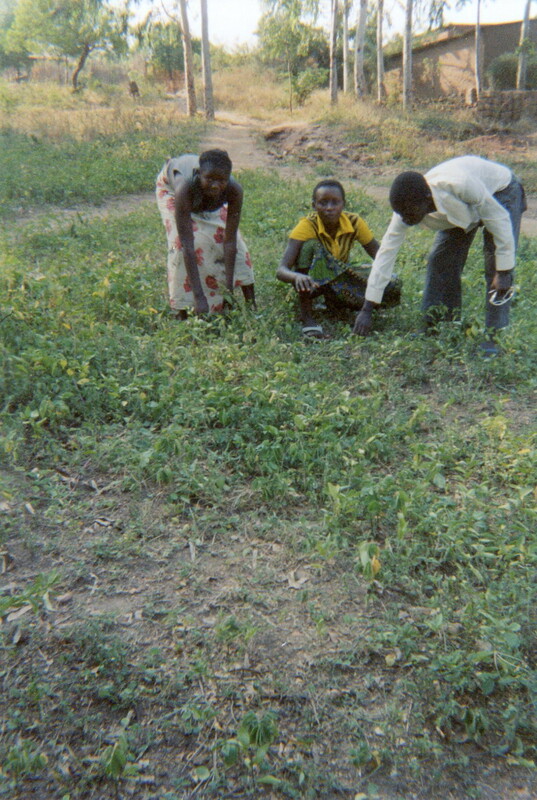 These photos show the ex-combatants in the field and the boys who were reintegrated before are showing the girls how to cultivate crops. 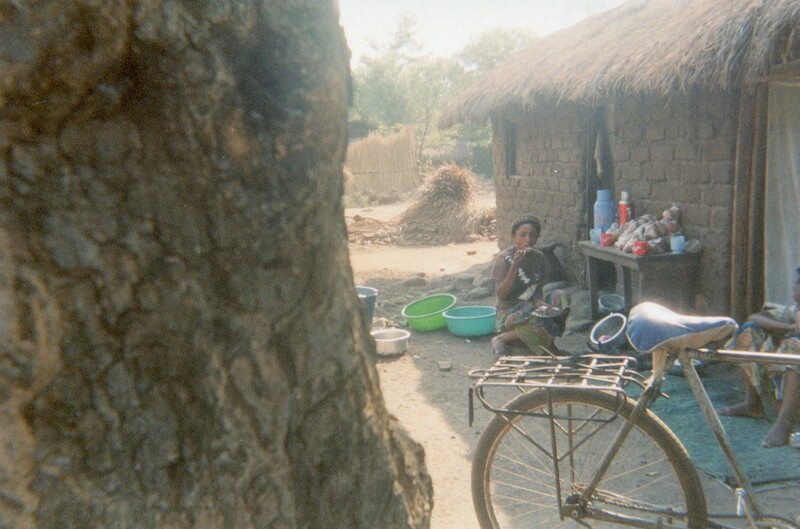 This photo shows my daughter's friend who we often send to get water and to buy goods at the market. During the war, it was she who gave me all the information about my daughter. She is an important person to me. These photos show the woman who helped me give advice to my daughter. This is an important person to me and to the whole community. This photos shows some ex-combatants regretting the erosion of part of their field. This photo shows some ex-combatants regretting the erosion of part of their field. This shows the difficulty of life in my community because of lack of support. I am obliged to do very intensive physical labour: for example, making bricks. This photo shows how hard life is in my community and the condition of my house where I live with my children because of how poor we are. 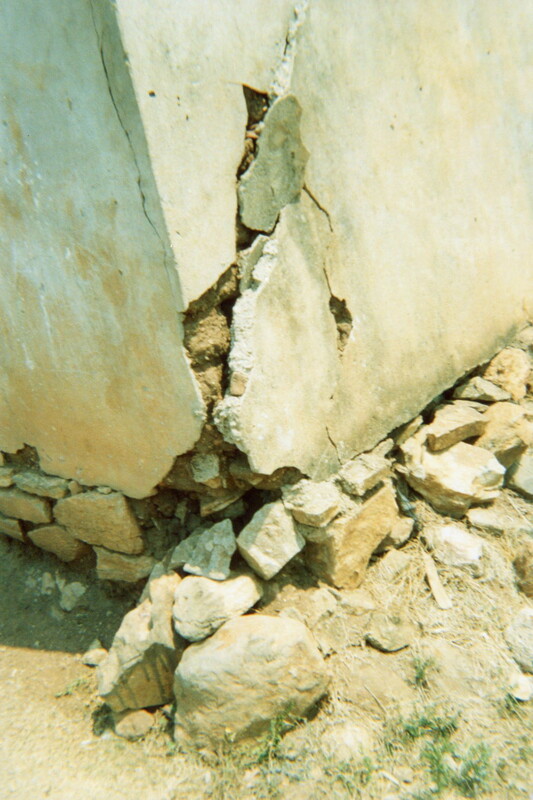 This picture shows the cracks in the walls of my house — this house is a danger for the whole family. This photo shows the work that I do of my own accord to try and save the house. This photo shows the hospital where my child who is an ex-combatant was treated when he left the armed group. The treatment at this hospital was free. After leaving the armed group, my child was working breaking stones. This photo shows the road going towards the military base — it was close to the river where the children had their military training. 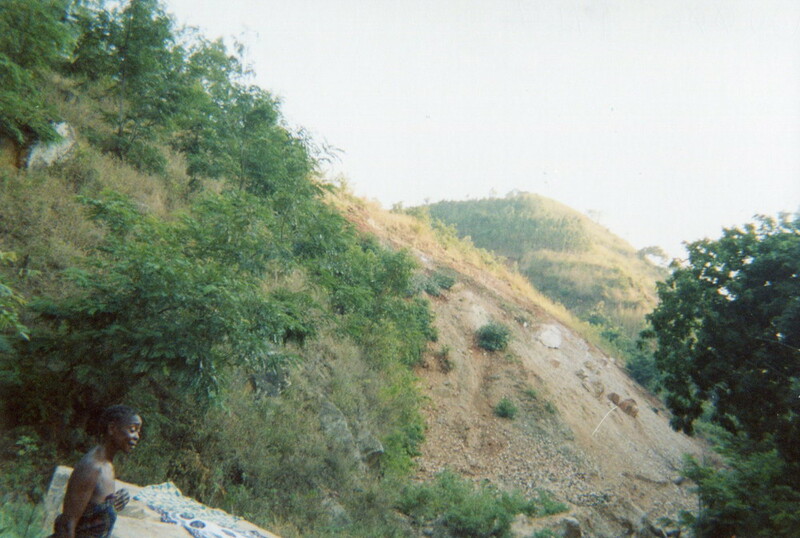 This photo shows the place where the friend of my child died while he was breaking stones after leaving the Mai Mai. This photo is so that I can remember the cows that my husband left me. During the war, all the cows were looted. This is one of the main causes of my sadness. 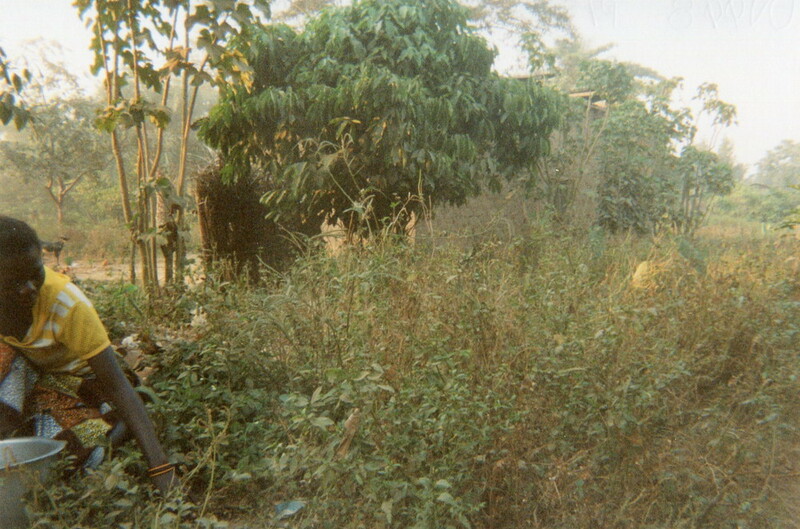 This is the place where the ex-child soldiers cut wood for fuel. This photo shows the river where the ex-child soldiers come and draw water while preparing food. This is the entrance of the military camps. I remember when I went searching for my child who was in the armed group, I passed by here. This photo reminds me of the place where my child played with his friends. It was there that he was forcefully recruited and used for many days. This photo shows the place where my child left his boots and uniform before returning home, and this place served as a military base for this armed group. These photos show the place where the military supply themselves with food and ammunition. This photo shows learners how to prepare the batter for making doughnuts. It is the first stage for learning this skill. This is where the children begin to prepare doughnuts themselves. The place where they are preparing is not a good place for this activity. The results of the girl ex-combatants after their training and the utensils that they use to prepare doughnuts. To the side there is a community member who is congratulating them on the work they have achieved. This girl ex-soldier often arrived late to training — she did not respect the schedule and that is why there is a clock behind her. This photo shows how a boy ex-combatant helped me a lot — he helped me learn how to make bread after I had been trained in making doughnuts. On photo number six, there is a local oven for baking bread. 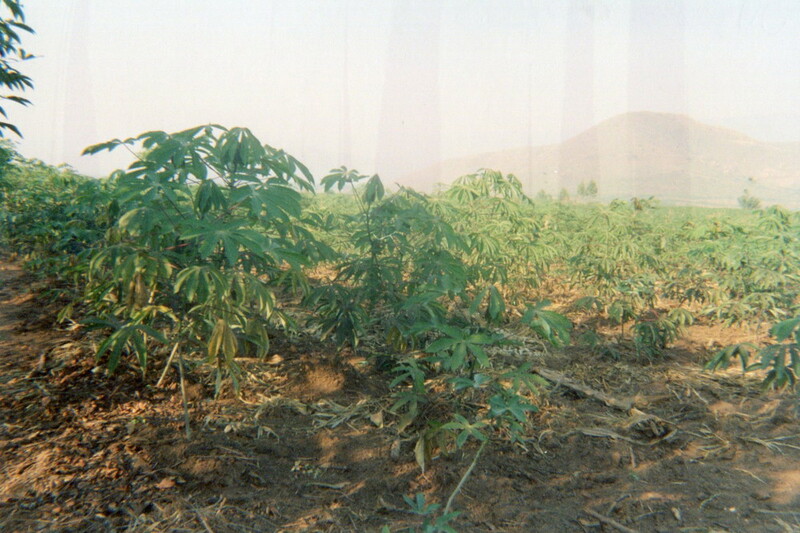 This photo shows ex-child soldiers who leave professional training to go back to their cultivating their fields. These photos show children who were not direct beneficiaries but who carried on presenting themselves at the training site — they really wanted to do the work and be part of the training, but did not have a way to integrate themselves into the ex-combatants group. 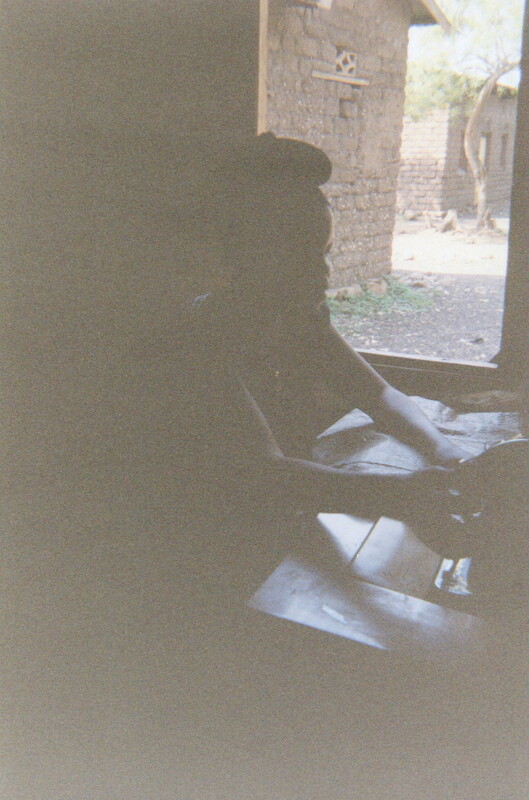 The ex-child soldiers were exposed to danger when they were preparing the doughnuts. There was another child there as well to help. This photo reminds me of my friend who was an ex combatant who got pregnant and gave birth to twins. 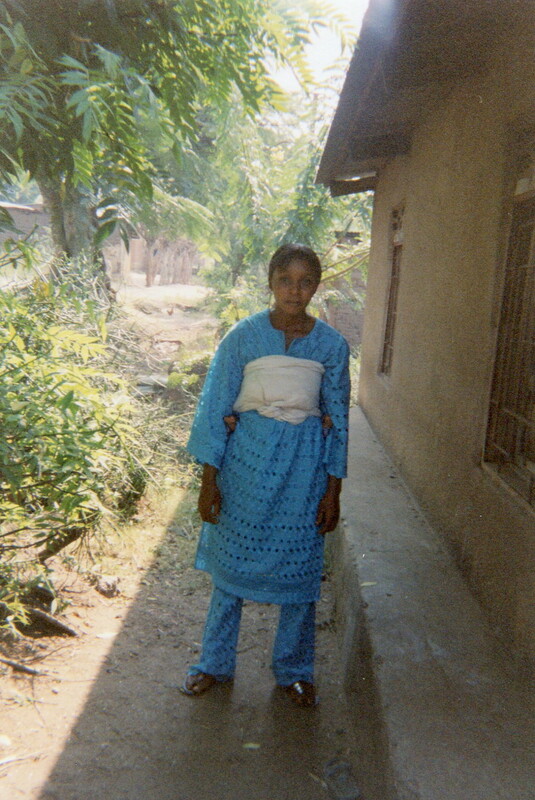 This child who is an orphan has no support or protection in their community. These are the memories of the hard and heavy work that we did with this friend when we were still in the armed group. A friend who was also a child soldier who worked for their commander in their field before she left the Mai Mai. The child of my older sister who helped me to sell cakes before I was recruited into the armed group. The place where we went to gather firewood when we were still in the armed group. This friend, who was a child soldier, lost both her parents. She was integrated into the Mai Mai and then was raped by her commander. This is to remind me of a young boy child soldier who was injured during an armed attack. This is a photo of the twins I was talking about. 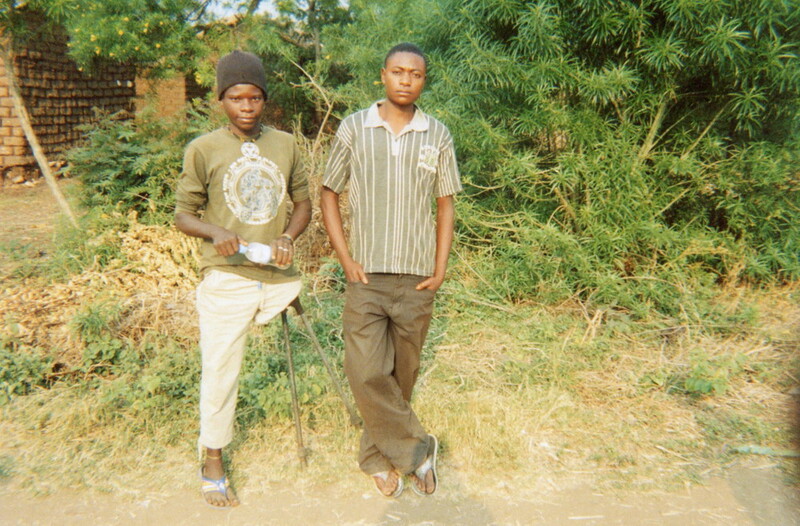 This boy ex-child soldier helped me a lot during this sad period of my life while I was in the armed groups. This place reminds me of where my father was buried after he was killed by bullets during the war. This picture reminds me of my friend who was also an ex-combatant who used to be responsible for finding wood for the cooking fires. This picture shows the place where my child, Denis, was living when he was under the care of his commander. This picture shows the child who received his income generating activity in the form of a reinsertion kit within his community. This income generating activity is helping him in his life. This picture shows how girl ex-combatants are meeting together and associating together in order that they teach each other income generating skills. This child had received chickens to raise as an income generating activity. 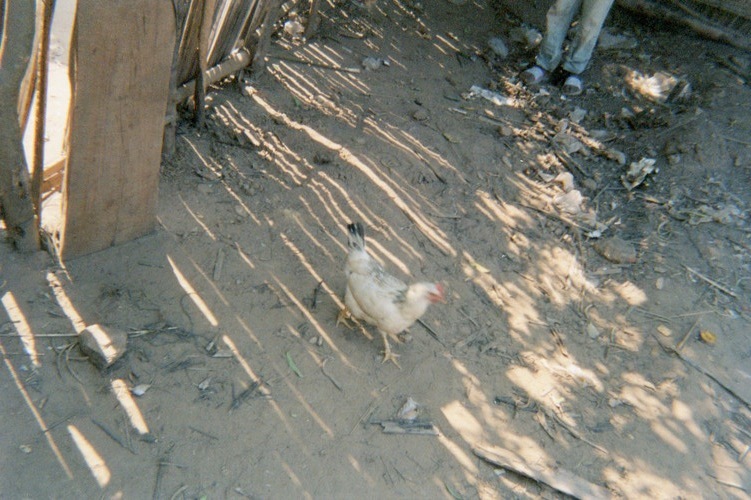 But the chickens lacked medicines and excellent care and died. This picture shows how a child was able to get out of the armed group and cultivated a field of potatoes, but it was spoilt by the fierce sun and did not yield a harvest. This child was forced to carry heavy burdens that were beyond her strength and her years and she was used as the wife of her commander. To remind me of how when an ex-combatant came back to the community for the first time, how they passed this road to regain the familial. This photo reminds me of the great joy of the family members when the child came back to their family and their community. This photo shows how hard life is in my community where we live with ex-combatants who have not been included in the reintegration and reinsertion programming. This is why my family makes alcohol to survive. This photo shows the reintegration and reinsertion kits that were given to the young people from another family. They received goats but my family has never received anything from the DDR programme. This is the house where I live with my five children. 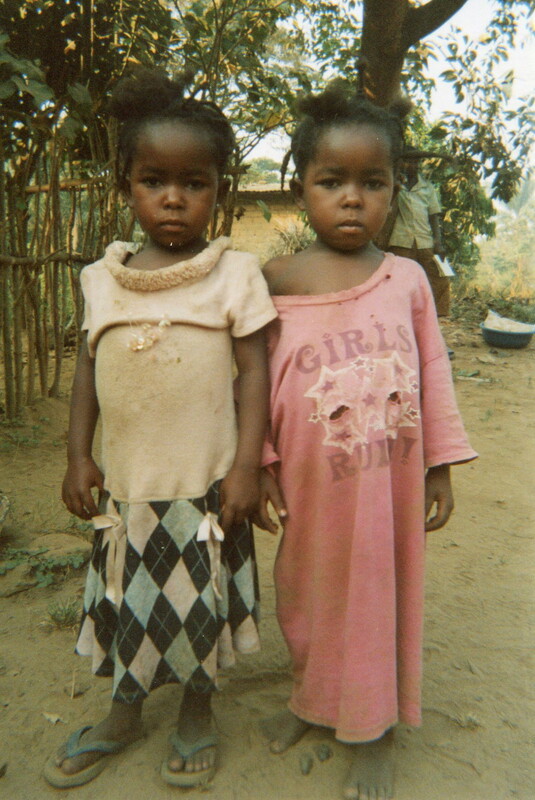 My children were sent home from school because I did not have enough money to pay their school fees. This shows the road where the children passed before joining the camp for the armed groups. This is the place where my child was taken by force by armed men. This is to remind me of my children and his friends with whom he worked before he re-joined the armed group. 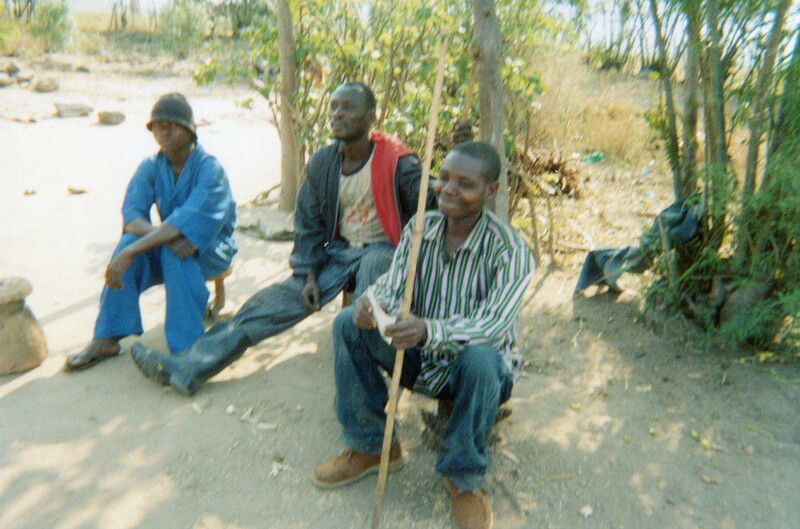 This photo shows the hard work of fishing that young ex-combatants are carrying out to meet the needs of their families. This is the place where these children are doing heavy fishing work because there are no alternative activities that are age appropriate. This picture compares the house where I live with my family of five, and my neighbour's house. This photo shows the hospital where my child was treated after leaving the armed forces.